I Am What I Am Today Because Of The Choices I Made Yesterday: A closer step to my tertiary studies. A closer step to my tertiary studies. Hey guys, I'm back after 3 months +, sorry for not updating, been chasing Running Man episode recently (only became a fan of it 3 years after it was broadcasted). 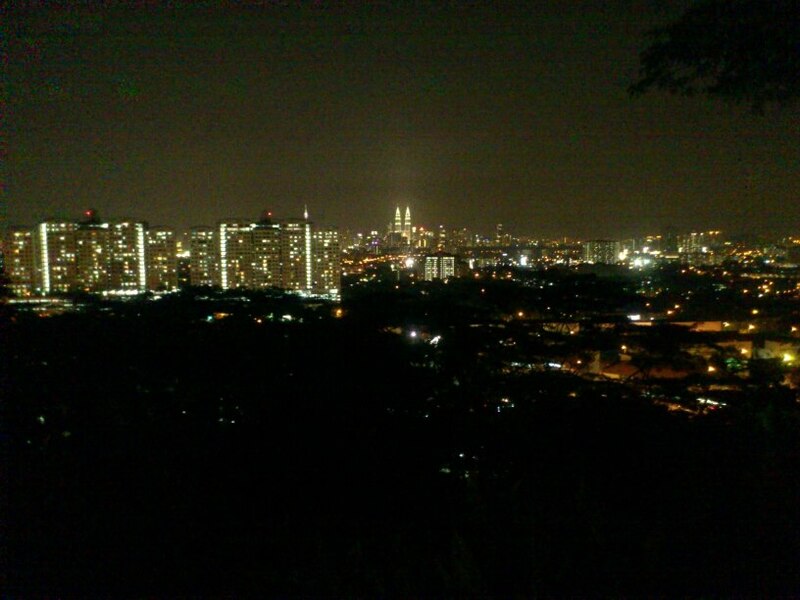 My mum, bro, cousin and I went to KL last week to settle my tertiary studies. My cousin whom I call 二哥 was requested by mum to help us coz he's familiar with that place. Arrived LCCT at noon, took a bus to KL Central, then took our 1st LRT ride to Pandan Jaya (got lost a few times be4 reaching there), then took a taxi to my cousin's rented shop lot house. Reached home around 7pm. We were all completely exhausted. Thank God X1000000 that my 大哥 come all the way down from Terengganu to PJ after knowing our arrivals, thanks to him we got a car to use. We finally reached UTAR after searching for a few times, headed straight to CEE department and took my English test. For those who didn't know, UTAR wanted me to take their BI test to know my english level becoz I didn't take BI in SPM. They said it is crucial for me to attend their 1 month BI course before starting my foundation. This is also the main reason why I came here. After finishing the 1 hour 15 minute test, we head to a nearby shopping mall to fill our hungry stomach. 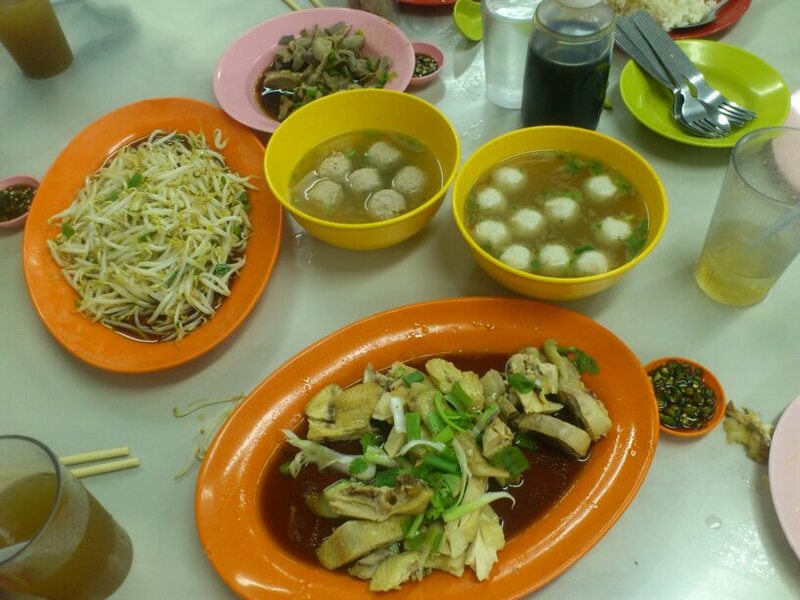 While 二哥 made calls to find house for me to stay there, mum and I went Giant to buy my daily necessities. Suddenly, I got a call from UTAR saying that I don't have to attend the 1 month course because my BI is good enough, I practically leaped with utter joy upon hearing the good news!!! They said this is their 1st case scenario. Right away mum decided to go Ipoh to visit our relatives. And we put back all the things to it's shelves. Then, we went to find the house to let. After tons of futile searching and turning, finally we found the house. We visited few houses, some had no basic facilities, some had but very expensive. The 3rd house was just nice. Had all the facilities including air cond.. But I still need to find a roommate to share the rental fee. After much consideration, we agreed and paid the 1st month rental fee. 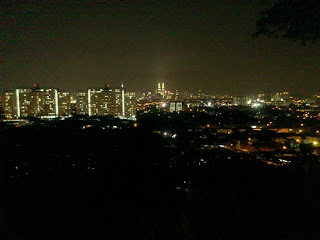 At night, 二哥 brought us to a small hill to sight see the vast KL night scenario. It was really pretty. Both 大哥and 二哥 came back very late, so we have no tour guide and stay at home until 8pm+, after 大哥 managed all his stuff, we headed straight to Batu Gajah, Perak. Reached 大哥's house around 11pm+. 3 hours of car ride made us all tired and went straight to sleep. We visited Ipoh's famous chinese temple. Ate Ipoh's famous 面包鸡，believe me, it was really scrumptious, you should try it when you're in Ipoh. 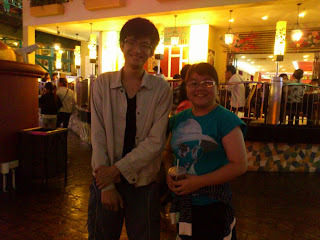 In the evening, 大哥 decided to bring us to Genting Highland. Yay!!! At night, when we we strolling around the mall, guess who I ran into? It's Stephen and Oh Hui Sen. What a coincidence!!! Enjoyed all the out door theme park, my brother chickened out and had stomach ache at the same time, he only played a few of the thrilling activities. 3pm went back to PJ. I got sick =( couldn't go anywhere. 二哥 brought mum and bro to Mid Valley. Got better after much prayer. Thank God. 二哥 he decided to stay longer. So he sent us to airport, thanks to his friend's car. When you're outside alone at a strange unfamiliar place, you gotta pray more. Pray for safety and blessings. Like this time, I really wanted to thank God for being the greatest provider. He sent his angels to help us. Without 大哥 and 二哥， we wouldn't have made it this far so easily, never crossed in my mind that we're able to visit our relatives in Perak, and have fun in Genting without paying for the hotel fees and meals. Thank God also for the hands of healing and blessings. Most of all thank God for not letting me to join the 1 month BI course. Our tour guide, our driver, our hotel and meal provider and our God- sent-angel.